MEETUPS IN SCARBOROUGH, MONEY SIMPLY. ALL 100 % AUTHENTIC RETAIL SHOES. 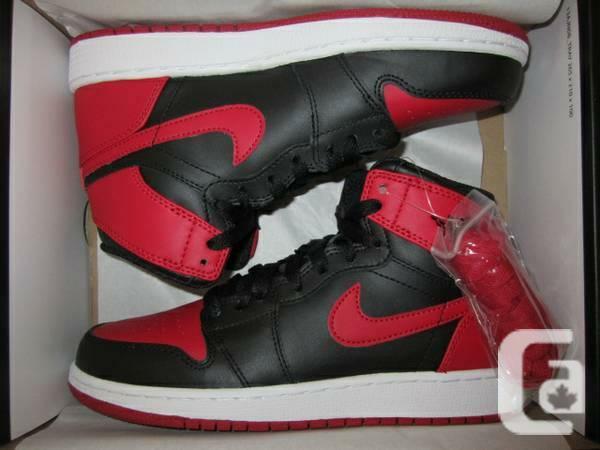 DS Jordan 1s REPRODUCED sz 6.5 Y - $300. DS Jordan 3s CONCERN PACK sz 6Y - $200. DS Jordan 4s REPRODUCED sz 6Y - $300. DS Jordan 5s GREY TONGUE sz 7Y - $180. DS Jordan 6s CARMINE sz 6Y - $240. DS Jordan 9s BARON sz 4Y, 5Y, 6Y, 7Y - $150. DS Jordan 10s POWDER BLUE sz 4.5 Y, 5Y, 5.5 Y, 6Y - $150. DS Jordan 11s CONCORD LOW sz 5.5 Y, 6Y, 6.5 Y, 7Y - $220. DS Jordan 11s INFRARED LOW sz 4Y, 5Y, 6Y, 7Y - $180. flyknit roshe foamposite jordan kd yeezy cent kobe elite socks bhm work of art prelude worry imperial bred concord area jam yeezy supreme.